AVMENTOR.net was not conceived to be just a translated version of our original Greek language site but with a broader target in mind. As vast as the internet is, it appears that there are only a handful of websites dedicated to equipment reviews, broad enough it their scope to include both top of the range and mid priced products, not to mention group testing. There are quite good sources for general information out there, to be sure, but most of them seem to inherit some of the ill-fated features of our dead-tree predecessor, the classic high-fidelity magazine of the 90s where the paper page real estate was limited (and expensive), therefore lacking the detail any dedicated visitor looks for. We will strive to change this bad habit of word counting and offer something different. If you just need some general info, specs for a piece of equipment, and long quotations directly copied from an official website you should not have any difficulty to find them on the net. 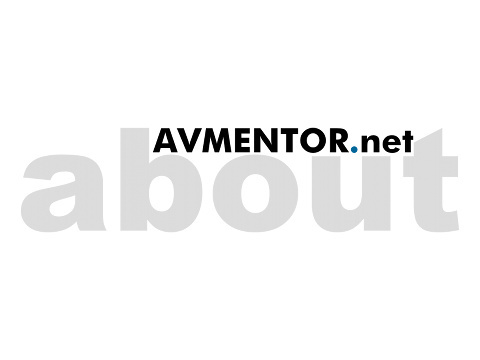 But, at AVMENTOR.net you will find details and then some more details too. And then again, possibly, some more details. Keep in touch. Some things around here are going to be even more interesting. Dimitris Stamatakos (aka dStam) studied Electrical Engineering in the Institute of Technology Education of Chalkis, Greece, where he frustrated his supervising teacher by insisting to submit his dissertation as a real working electronic circuit in a breadboard and not as a paper only study as it was the standard back then. During 1994-1996 he was appointed as editor in chief in Audio magazine (Motor Press Hellas). In 1996 he assumed the position of executive director/audio division in Motor Press Hellas, a division that was publishing Audio, Pro Audio and Auto HiFi magazines at that time. In 1998 he was one of the co-founders at "Akraies Ekdoseis" publishing company and he assumed the position of editor in chief in Extreme Audio Video magazine. Between the years 2000-2003 he was appointed as executive director/AV Group, a joined group formed between Αkraies Ekdoseis and Smart Press. ΑV Group's main publications were DVD Home Theater, Extreme Audio Video and AV Pro magazines. From 2003 owns and maintains avmentor.gr and avmentor.eu websites because he decided that equipment reviewing is a much more interesting job than human management in old fashioned publishing companies stuffed with people that can not understand what the f*ck audio and high fidelity means in technical terms (which is not so difficult by the way). He is, also, a member of the staff of reviewers in High Fidelity magazine (Vision Press) since 2009. Dimitris served as a member in the inaugural committee of the greek section of Audio Engineering Society (1992) and as secretary and treasurer in AES/Gr. He is an associate member of AES and IEEE. In 1993 he published a book on the subject of consumer audio systems for begginers. This book is a collector's item now (just kidding, don't search for it at eBay), since it contains references to the DCC and the MiniDisc formats naming them as reasonable digital audio sources. He feels sorry about that. Really. Nobody is perfect.